Perth, Aug 11, 2011 (Global Fashion Wire) - The Third International Conference of Fashion Incubators will be held at the Parmelia Hilton in Perth from the 11th until the 13th of September 2011. 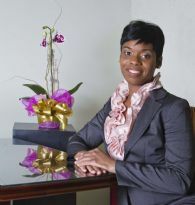 Keachea Dixon is an attorney licensed in New York and Jamaica and heads up Gordon Dixon & Company's Intellectual Property and Entertainment division, concentrating on copyright, conveyances/real estate, entertainment, information technology, patent and trademark law. She will be addressing the conference on 'How To Manage The Use Of Your Intellectual Property On The Internet To Shape Your Future In The Global Fashion & Design Industries'. The economic crisis around the world has helped to increase the trend of businesses having an online presence. The fashion industry has not been left behind, but is a leader in the use of the Internet to gain worldwide exposure. Both established and emerging designers use Internet sites such as company websites, blogs, Facebook, LinkedIn, YouTube to gain exposure and increase sales. There are great rewards from the exploitation of the Internet but there is also great cost. Pirates have an easier access to designs and can turnout replicas to the global market more quickly than in the past. Misuse of a designers mark can be used to drive traffic to the website of another. These activities are no longer localized but affect designers globally and swiftly. Ms Dixon is admitted to the Federal Courts of the Eastern and Southern Districts of New York, has a Master of Law Degree in Intellectual Property (IP), Technology & Commerce from Franklin Pierce Law Centre, is a certified mediator in the area of IP, Technology & Commerce and is knowledgeable in International Development. Prior to becoming a partner at Gordon Dixon & Company, Keachea was in-house counsel for Dilieu Technologies LLC, an IT solutions company with locations in California, Florida and New York. Conference Convenor, Carol Hanlon said "As well as her work at Gordon Dixon & Company, Keachea is also a Member of International Federation of Business & Professional Women (BPW) and Chairs the Membership Committee of Enterprising and Professional Women - New York. We look forward to her sharing her knowledge of intellectual property within the fashion, design and textile industries."